ALTOBLUEMUSIC is the original home of underground groups and universal musicians that experiment with organic beats & sounds expanding the art of music as a true concept of being free. The self - expressions of these altoblue artist are nonconformist to the normal industry pressure. The artist on the ALTOBLUE label has the independence & presence to penetrate the universal essence of any musical style. 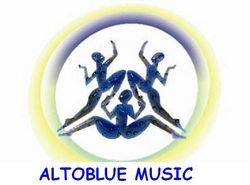 ALTOBLUEMUSIC was born as an artist development and production company expandeding the creative packages offered to the artist. Altoblue customized service packages to accomodate the business needs of the independent artist. As a company we can offer complete solutions including a staff that manages, books, & develops the artist or their projects. Our staff has the flexibility and knowledge to work with a wide variety of talents and to fulfill their various requirements. We are in the business of facilitating services that allow the artist a full portfolio; this will assist them in weak areas that may be distracting them from creating their sound to a waiting audience. We bring to the market artists that have an international flavor and global stage appeal. And as a company our soul mission is keeping the music real & the sounds tight to offer the global marketplace a unique lyrical content in the form of a finished product. As the representatives of several underground artists we look for relationships that can advance the artist in shopping their material for touring, show bookings, production, writing, sound tracks, studio sessions, and international/national distribution. The artists involved with the AltoBlueMusic family have the experience and talent that doing live stage performances enhance. We represent artist with a high level of professionalism and have a versatile menu of talent creating a strong visual stage show. With that combination we have had success in providing major artists with just the right group for their opening acts when they come through the los Angeles market. Our artist have performed with the Legendary Run DMC at the House of Blues to the other end of the spectrum with Reggae artist Ky-Mani Marley at the whisky A Go Go. As a company we have placed our entire portfolio of artist through a successful tour of LA's hot club scenes. The venues include the hot spots on Sunset Blvd. like the Key Club, Roxy, Whisky a go go, Lush of Santa Monica Blvd., Palms Bar, Luna Park, Fais Do Do, 5th streets dicks in Leimert park, The Gig on Melrose, & The El Rey on Wilshire in Miracle Mile. With the international appeal that AltoBlue artist have it is a natural progression to perform on the international stages. We are in the process of securing an international tour agreement. stay tuned for the unorthodox variety of eclectic artists to choose from ranging from the Royal Surgeonz, the Ghetto Alienz, SUN CHI, Le'Krunkenstein, Holographic Spaceshipz, Spoken Medicine, & BlaqspaceDNA- One of the tightest producers, Drummers, Writers, & vocalist. BlaqspaceDNA the organizer and coordinator of many artists, musicians, songwriters, & Dancers in the underground Texas, Los Angeles, Seattle, & Vancouver BC-Canadian music scene for a great number of years. AltoBlue Music will continue to put out records, books, & Films to help promote the imagination & education of artists worldwide!!!! !